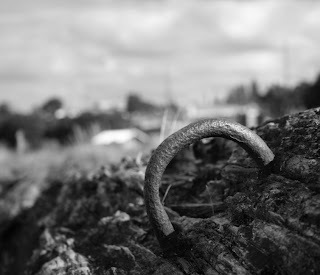 Found this sticking out of a beam, quite old and rotting, however the iron ring is stuck in there very solid. This is cool, I love the black and white! Black and white is so much fun. I love it too.